Sport fishing on The Yellow Reef You can take a trip with one of our 4 boats and experience how big the fish are on the Yellow Reef. 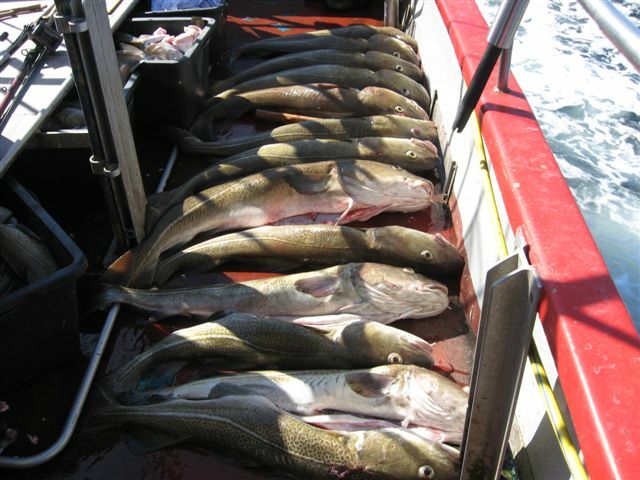 With almost 20 years experience in sport fishing, we guarantee some of the best fishing in the seas around Denmark. Several Danish and German records are caught on our boats. Fish weighing above 10 kg. is not unusual. Among the Danish sport fishing vessels these are among the ones where most fish are caught. All the boats have an experienced crew. Read more about the boats here. 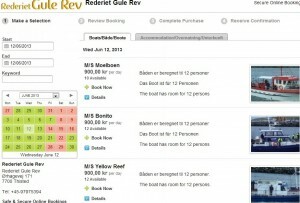 At Rederiet Gule Rev it is also possible to book accommodation. 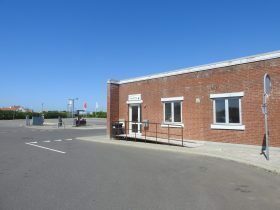 You can rent a room in one af our fisherman´s houses “By-kahytten”. The houses is only 3 minutes from the harbor. This is very easy: If the weather is not good and the fishing trip is canceled, the reservation of our house “By-kahytten” will be canceled – and it´s all free. 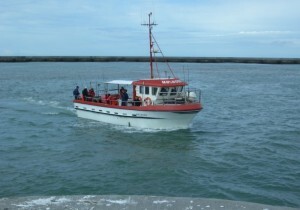 In our online booking system you can book a seat on one of our boats. You can also booke an accommodation in our sport fisher house.